Mahindra Comviva, the company powering Econet’s mobile money solution, EcoCash, today won the “Best mobile money service” award at the AfricaCom Awards in South Africa. The awards are a big deal on the continent as they are part of the AfricaCom conference which is currently Africa’s largest conference for the telecoms and tech sector. More telecoms. It is an honor to receive such a coveted award. The emergence of sectors like financial services as key revenue contributors truly reflects the gradual transformation of African market. 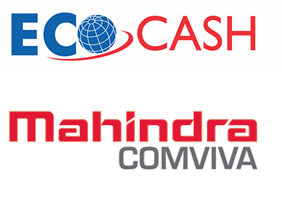 I am extremely elated that Mahindra Comviva’s efforts in these fields have been recognized especially for EcoCash, which strengthens the financial infrastructure. EcoCash is currently Zimbabwe’s largest mobile money service. The service was launched in 2011, and in the short time managed to get 3 million subscribers. Recently, Econet announced that the platform has, this year alone, transacted more than US $1 billion already. Locally, EcoCash competes directly with services by fellow mobile operators; NetOne OneWallet, and Telecel’s soon to be launched Telecash. its surprisingly taking so long for development of a smart app for ecocash, the USSD is just so painful.